Microsoft expects people to pay good money for Xbox One Scorpio, but not any kind of sum you haven't seen before. Phil Spencer, the head of Xbox, told NZGamer.com about the upcoming 4K, performance-enhanced console, and how Microsoft plans to position what it's calling "the most powerful console ever" in a price-sensitive market. 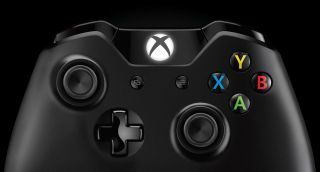 The Xbox One S and Project Scorpio were designed in parallel to a certain extent, Spencer said, giving Microsoft some unique perspective about where both could land in terms of price and performance. There will be a "good price continuum" when Scorpio arrives in time for the 2017 holiday season. "So I think you will feel like it’s a premium product, a premium console," Spencer said. "And not something, anything more than that. So I wouldn’t get people worried that this thing is going to be unlike any console price you’ve ever seen. We didn’t design it that way. "That said, the opening price point for the Xbox One S, and the different hard drive sizes, that is a critical part of this whole product. When I think about it as a product line, you should expect the pricing to kind of be in line with that." Xbox One S starts at $299 / £249 for 500GB consoles. I'd say the modern high tide for game system prices remains between $499 and $599, which spans the original price of Xbox One with Kinect included and the original price of PlayStation 3 (though those were nearly the same in the UK at £429 and £425, respectively). PlayStation 4 Pro will only cost $399 / £349 when it hits stores in November, so Microsoft may be hesitant to go much higher than that for Scorpio in 2017, regardless of how powerful it is.